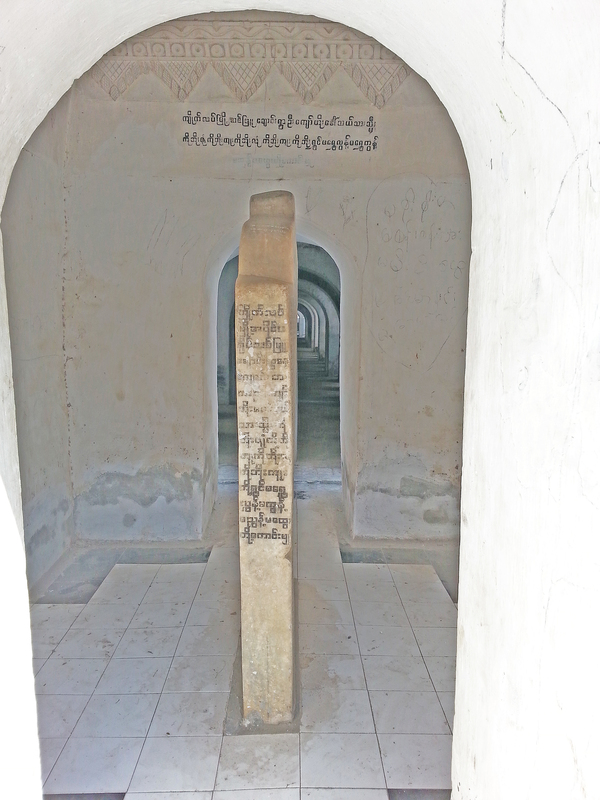 Within each stupa, marble slabs hold inscriptions that make up the worlds largest book. 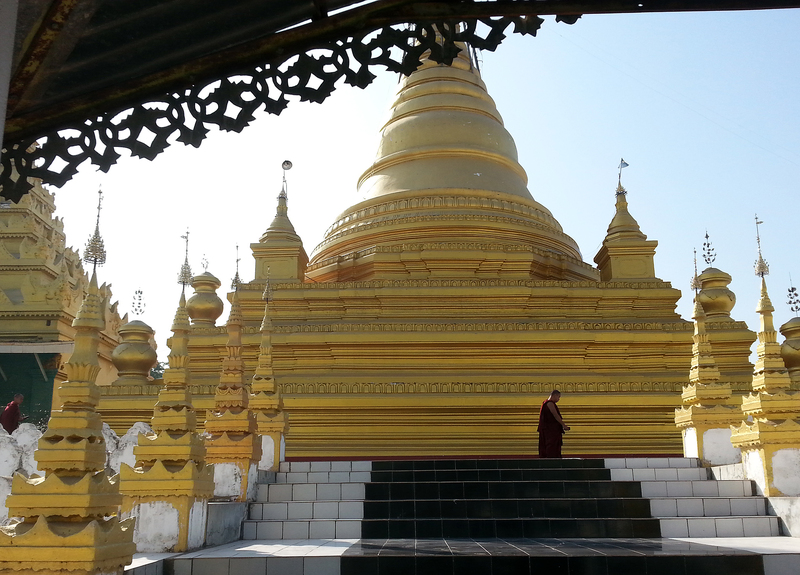 Other than the monks that tend the site, the pagoda is an amazingly quiet site with very few tourists. 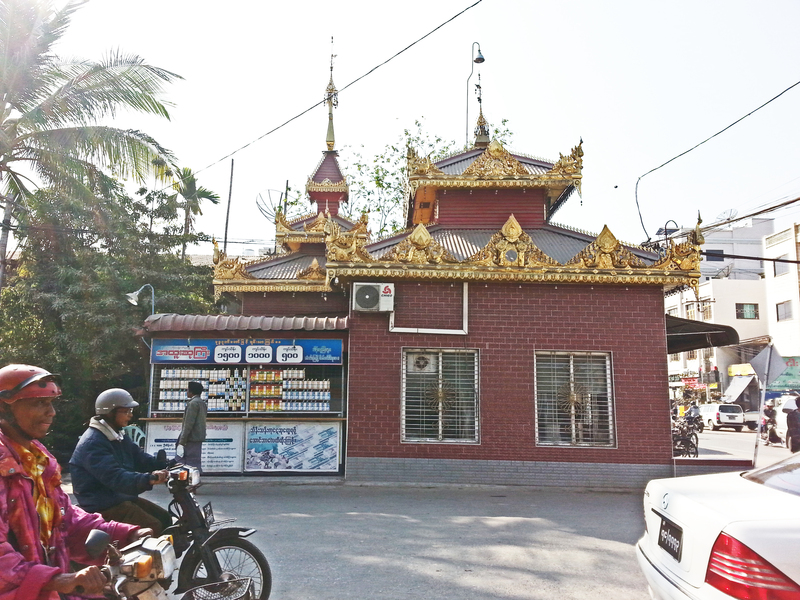 Mandalay, one of the largest cities in Myanmar, is home to a large population of monks. There are several monasteries throughout the city. Surprisingly they are very modern and appear to be comfortable. For all its tradition, Mandalay is a city of change with lotteries juxtaposed next to temples and a large gold market attracting tourist on the lookout for inexpensive jewelry. Those who plan to buy gold in Mandalay should ask whether the gem inset is real. Many times the gold is real but the gem is not and likewise, real gems are often set in cheap gilded metal. So ask the vendor what’s real. 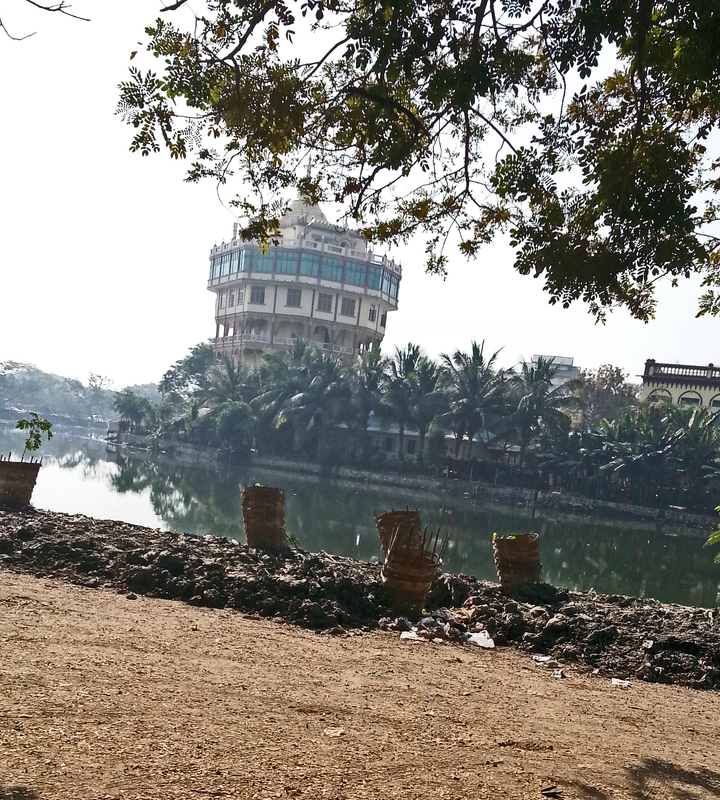 The last royal Burmese palace is in Mandalay. It’s a lovely area to bicycle around.